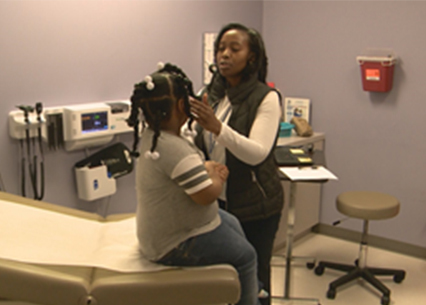 It’s not easy to remain optimistic about healthcare in D.C.’s Ward 8, which has some of the highest disparities of health outcomes in the Metropolitan area, but a non-profit is working to change that. Community of Hope is a place where residents can feel they can belong, and where they can get access to quality healthcare for the entire family. 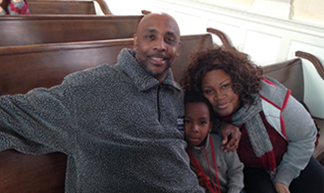 “Community of Hope literally changed my life,” said 49-year-old patient, Grace Brown. She lost three siblings to kidney disease. Now, Brown is battling that illness and high blood pressure. Brown said Community of Hope helped her understand her challenges and how to manage them. In 2017, the non-profit served nearly 11,000 patients. The Conway Health and Resource Center is one of Community of Hope’s buildings. Constructed just four years ago, it helps serve an area with high unemployment, less access to grocery stores and healthy foods and with pockets of plight. Even though the patient rate hit the highest level ever in January of 2018, residents didn’t always believe it was a place for them. “The biggest comment I get, especially when we first opened is ‘This is too nice, this must not be for us. It must be for someone else,’” said Kelly Sweeney McShane, the President and CEO of Community of Hope. But now, McShane said the community knows there’s access to good quality healthcare on that side of the Anacostia River. Fundraising is one of their best ways to ensure families can keep getting quality healthcare. If you’d like to make a difference for families in our area and contribute to Impact: Give Back, join WUSA9 and the United Way of the National Capital Area's Do More 24 event by donating here. Do More 24 brings the National Capital community together to focus on giving and building the strength of nonprofits. First, type the organization’s name in the “Find Your Cause” search bar. When your organization appears in the results, click on their profile and donate on their page. Your donation is scheduled to be processed on May 17, during our 24 hours of giving. You will receive an emailed gift receipt when your credit card is actually charged. We report on problems all the time, but we’ve heard from you, that’s not enough. That’s why our WUSA9 Impact team is committed to bringing you solutions. From May 1 until May 18, we’ll be bringing you the stories of the local non-profits in the District, Maryland and Virginia who work nonstop to make our community a better place to live. “Impact: Give Back” is a partnership with the United Way of the National Capital Area to help raise money, so these groups can keep doing their good work.